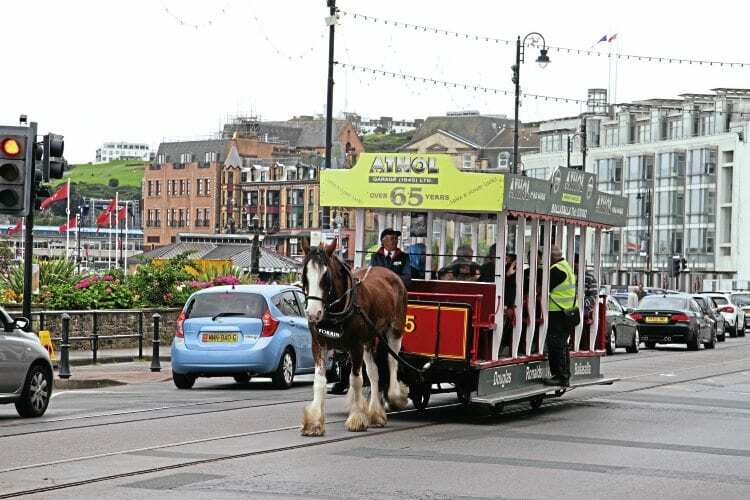 THE January sitting of Tynwald (Isle of Man Parliament) has voted to retain Douglas Bay Horse Tramway over its full length. The 3ft-gauge tramway will remain double-track in the centre of the road along the promenade between Summerhill and Broadway, then single-track on to the Sea Terminal. The future length and location of the tramway returned to the agenda when an Options Review for Douglas Promenade, prepared by Isle of Man’s Department of Infrastructure (DoI) in November, was considered by Tynwald in December followed by a further vote at the January 2017 sitting. On July 20, 2016 Tynwald approved laying a new single-line tramway on the seaward side of the promenade from Derby Castle over the full length of the tramway to the Sea Terminal as part of a Douglas Promenade highway improvement scheme. This allayed concerns the tramway may be truncated from its present length (RM Sept 2016), but raised other issues by moving the lines away from the centre of the road.